The DVD to Blackberry Converter has been Updated! Update fixes some bugs and allows you to convert newer DVD’s for your Blackberry! Check it out today! Author DoTheWebPosted on February 20, 2010 April 6, 2010 Categories Blackberry, DVD Converters, Posts2 Comments on The DVD to Blackberry Converter has been Updated! Introducing The FREE DoTheWeb.net DVD to Blackberry Converter! Put your favorite DVD’s in your pocket! 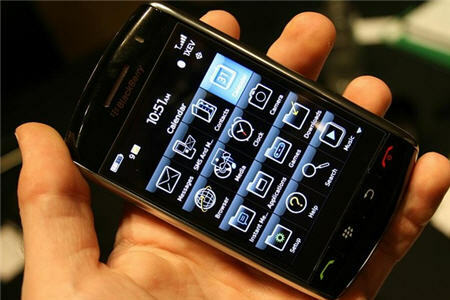 Have you seen the sample video on your Blackberry Storm? If you were like me you were in awe while watching the incredible picture and hearing the full sound out of you phone. Now you can enjoy many more movies on your Blackberry! Take some of your favorite DVD’s and convert them to run on your Blackberry! The DoTheWeb.net DVD to Blackberry converter can easily take your favorite DVD and convert it so you can enjoy viewing your movie while waiting on a bus, riding shotgun in the car, waiting for your doctor, anywhere! Your kids would love it too! The DoTheWeb DVD to Blackberry converter is one of our FREE tools to you! The DoTheWeb.net DVD to Blackberry Converter is Here! I stumbled across the new WordPress for Blackberry app out in the wild so I thought I would give it a try. It is still in beta right now, but you would hardly know. I was able to add a new post with ease, taking pictures and easily updating my blog from wherever I was. It almost makes taking a laptop with you a thing of the past! I am excited for the full release version of this app. If you are interested in trying this out checkout http://blackberry.wordpress.org/ to download the beta. Author Nick JolinPosted on November 12, 2009 April 6, 2010 Categories Blackberry, PostsTags Blackberry, Storm, WordpressLeave a comment on WordPress for your Blackberry! Please put all bugs and support issues here for the DoTheWeb.net DVD to Blackberry Converter. The DoTheWeb.net DVD to Blackberry Converter is provided at no charge, please remember that when posting bugs!